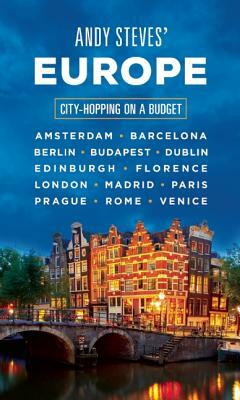 This award-winning travel guide picks up where crowdsourcing leaves off, covering the skills you need for spur-of-the-moment trips to Europe's top destinations. See iconic sights. Check the Eiffel Tower, the London Eye, and the Colosseum off your bucket list, and use Andy's tips to save time and skip lines. Hit the local hot spots. Chill at Amsterdam's coffee shops, study mixology at London's speakeasies, and bust moves at Barcelona's beach clubs. Enjoy the best and cheapest local cuisine. Graze at boulangeries in Paris, pubs in Dublin, and aperitivo bars in Rome. Whether you're studying abroad or just looking to explore Europe without breaking the bank, Andy Steves' Europe will have you city-hopping like a pro. Andy Steves was born into a traveling family, heading to Europe each year while his father, Rick Steves, researched his guidebooks and filmed his TV shows. Today, Andy introduces young travelers to Europe though his own company, Weekend Student Adventures (wsaeurope.com), and hosts a successful travel podcast featuring his tips, tricks, and stories. In 2017, Andy Steves' Europe was awarded bronze in the Society of American Travel Writers Foundation's Lowell Thomas Competition, the premier award in travel journalism.